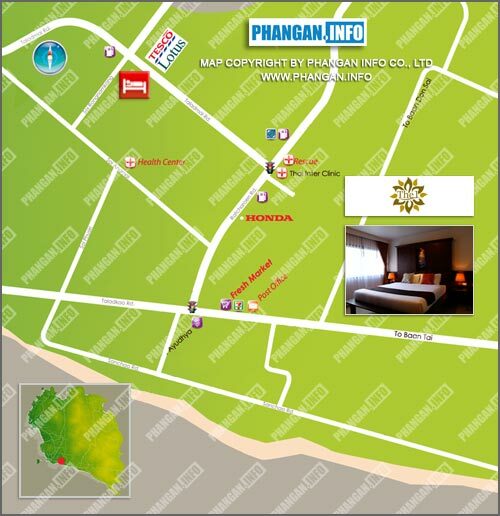 209/3 Moo 1, Thongsala/Baan Tai, Koh Phangan, Suratthani 84280 Thailand. The 1 Boutique Hotel is a brand new modern boutique hotel located in the heart of Thongsala town. It is conveniently located opposite Tesco Lotus, 500 meters from the pier, 5 minutes walk to the beach and 15 minutes to the Full Moon Party, within walking distance to a night market, and the famous walking street, as well as a wide variety of restaurants and pubs, food stalls. The 1 Boutique hotel has been designed with thought and care and furnished with Grade A furnishings and electrical appliances. The hotel is very clean with a comfortable bed and very good quality sheets and duvet. It is our intention to create a warm comfortable homely environment for you to enjoy your stay. Free Wi-fi is available for all hotel guests. There is a coffee shop serving fresh coffee, smoothies, fruit juices, and snacks at hotelâ€™s lobby. Moreover, there is The 1 Body Shop available for all hotel guests at lobby area to enjoy natural products. We offer competitive rates with various year-round specials and strive on providing excellent service. Our friendly and multilingual staffs will be able to provide you with assistance and information throughout your stay. There are plenty of activities on Koh Phangan for people with a wide range of interests - including: fishing, scuba diving, snorkeling, trekking, elephant safari, national marine park day trip, sightseeing, visiting temples, enjoying local food. No matter the reason for your travel, we hope to see you at The 1 Boutique Hotel. The 1 Boutique Hotel is the answer for truly relaxation and entertaining recreations. Full pre payment is required. All room rates is NOT inclusive of breakfast. Transfer from Thongsala Pier to Hotel 50 Baht per person (one way). Please arrange transfer with the hotel at least one day before arrival. 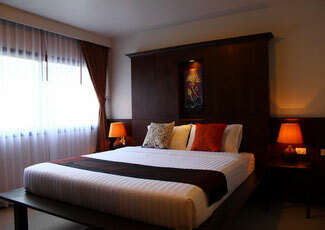 Extra Bed can be added only in XL Room at 800 Baht(LS), 1000 Baht(HS&FM LS), 1200 Baht(FM HS) and 1500 Baht(PS). Free wifi available in all area. New Year reservations: a minimum stay 5 nights.